Some of you might have already played the original Joe Danger. 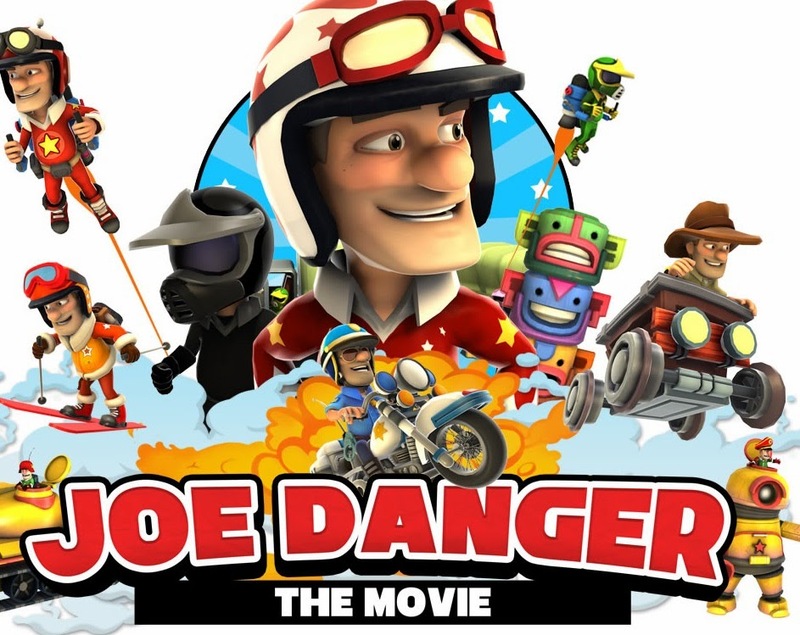 In the first Joe Danger you played as a stunt man and performed various tricks on obstacles with increasing difficulty. 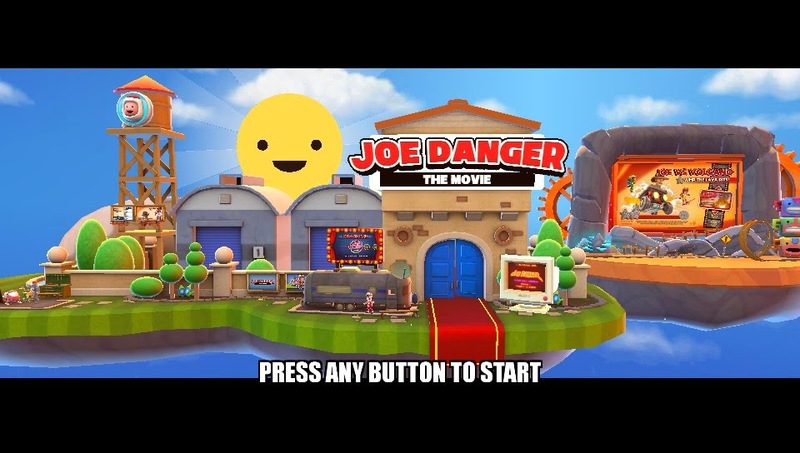 Joe Danger 2 follows this same format, but with a variety of improvement and new game modes. Once you start the game you are greeted by a fully animated menu screen. In the menu screen you can pan to various options, from adventure mode, pro mode and an ultra hard preview. From the menu screen alone you can see there has been a lot of work put into the game. Now lets get into the game play. 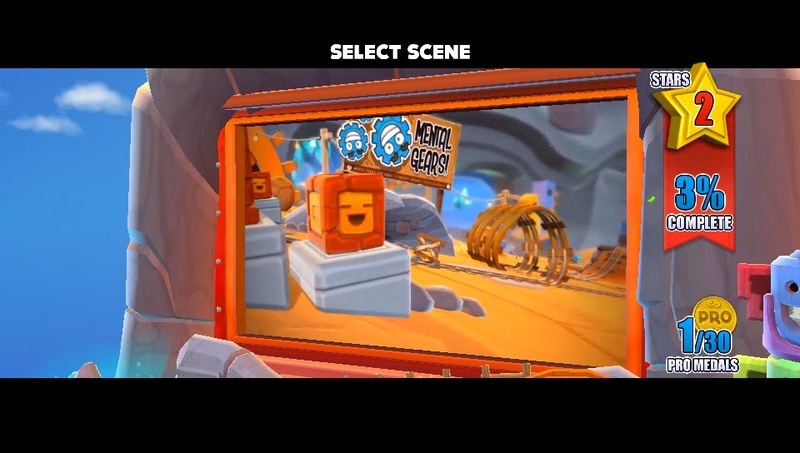 In Joe Danger 2: The Movie, you play as a stunts man for a variety of different movies. Each movie has its own setting. For example Act 1 features a Indiana Jones themed map pack, while Act 2 has Joe Danger skiing away from an avalanche. These different acts allow for changes in scenery which give the players new areas to explore. 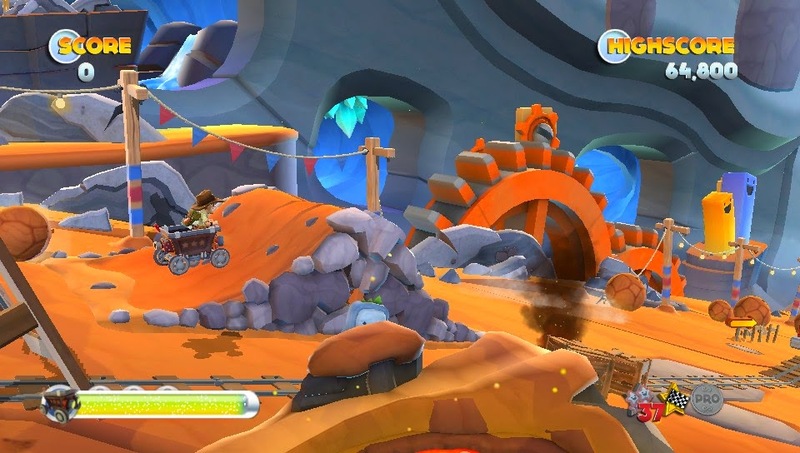 Each different environment in Joe Danger 2 is very well made with plenty of nice details in the background of scenes. 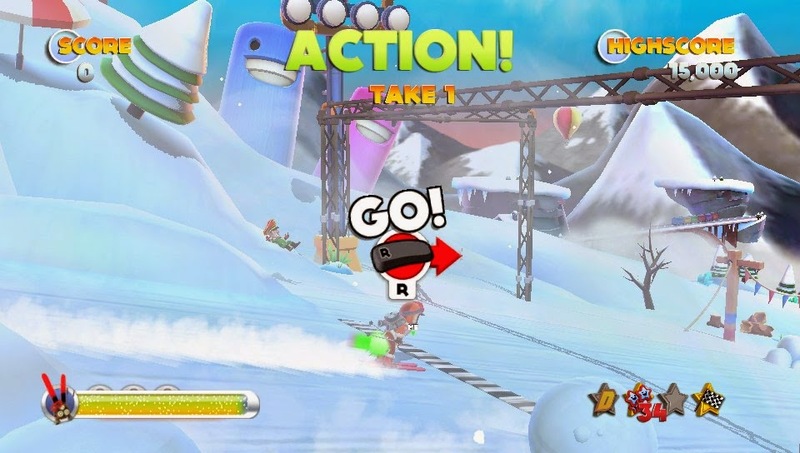 Players use the R button to accelerate and the X button to use turbo which recharges by doing stunts. There are a variety of button combinations that allow for tricks. There are also plenty of obstacles that you will either have to duck or jump over using the square button. Joe Danger 2 can be extremely difficult for players who want to achieve total completion of every map. If you just want to run through the game it can be easy, but trying to collect all the stars or letters to give yourself 100% completion is very hard. I think the difficulty is perfect, it is hard to beat the game with 100% completion, but for casual gaming you can play through everything at a medium difficulty. For those who want a challenge they can play the Ultra Hard Preview. I tied this mode and could not even get past the first jump. There is also extra downloadable map packs that are free that can be played as well. Right now there is only one with others to come. These extra map packs will also add to Joe Danger 2's replay-ability. 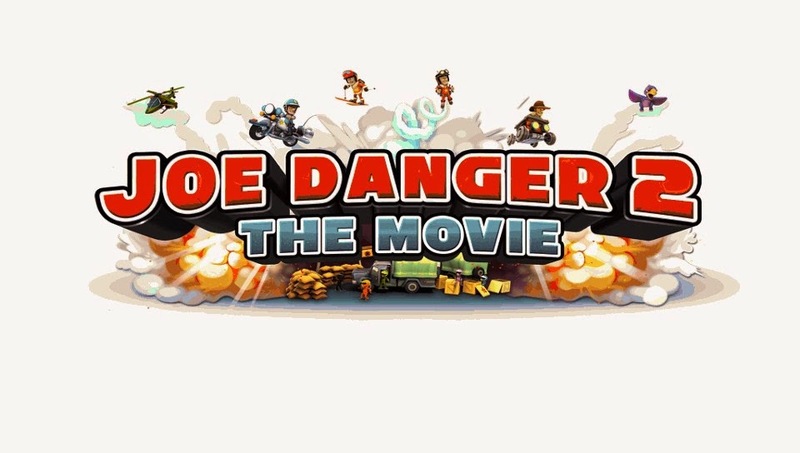 Overall Joe Danger 2: The Movie is a great game! I absolutely loved all the detail that is put into the game. From the menu screen to the actual gameplay you can see all of the detail that the developers put into the game. The gameplay is challenging for those who strive for 100% completion. There are extra map packs coming as well to keep players coming back. The only issue I had with Joe Danger 2 on my PS Vita was there were occasional crashes and slow loading times, but these were very rare. Joe Danger 2 is available for $10.99 and weighs in at a download size of 642MB. Did you enjoy the review? Let us know below!